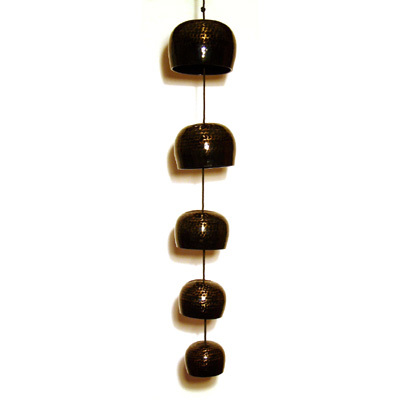 A beautiful string of individually tuned brass bells or bowls, traditionally used in the temples of the Far East. Very calming when played with a soft mallet. Total Length: 120 cm, Bowl diameters from 9 to 15 cm.